1) Or, a pale engr. gu. voided of the field, betw. two fleurs-de-lis az. Crest—A peacock’s head erased ppr. 2) Arg a fess az bet 3 peacocks’ heads erased ppr Crest: a peacock’s head erased ppr. Seal affixed to a deed dated 1726. Vermont Amer. Heral., 1886, pp. 129, 173. 3) Arg a fess [az] bet 3 peacocks’ heads erased 1 and 2 [ppr] Crest: a head of the field. Notepaper Mrs. Mae Merrill Buckley, Dorchester, Mass., desc. of Thomas Merrill Bookplate Sherborn M. Merrill. 4) Arg a fess az or [sa?] bet 3 birds’ heads erased 1 and 2. George D. Merrill’s bookplate; also Albert Rowe Merrill. 5) Az 3 cresc arg Crest: a dove rising holding an olive branch. Motto: Servata fides cinere Bookplate Lucie Elizabeth and William Waldo Merrill. 6) Or a pale engr gu voided of the field bet 2 fleurs-de-lis az Crest: a peacock’s head erased ppr. Motto: Vincit qui patitur On tablet in the library at Yarmouth, Maine, erected by Joseph E. Merrill in memory of Ezekiel Merrill and his wife. Also on notepaper of Joshua Merrill, Longwood, Mass. Bookplate [Miss Mary E.] Merrill of Bangor, signed D[orothy] S[turgis] H[arding] of Boston. 7) Merill- or, on a bend gu. a crescent ar. in base, a cross crosslet of the second. 8) Muriell – (London). Sa. a dexter wing betw. three birds ar. Crest—A lion pass. guard. tail extended ppr. 9) Muriell – Sa. on a fesse wavy or, betw. three martlets ar. as many wings gu. a border engr. of the second. Crest—A demi cat per pale ar. and sa. holding in the claws a branch of roses of the first, leaved vert, gorged with a fesse counterchanged. The last name Merrill is of English, French-Breton, and Scandinavian/Viking origins. This surname has four origin theories. First, it is a baptismal surname meaning “the son of Muriel”. Since early times, a tendency existed for the pronunciation to be Meriel or Merrell as opposed to Muriel, for whatever reason. 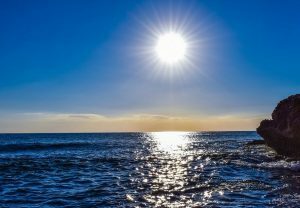 The personal (first) name Muriel is a feminine given name of Gaelic origin spelled as Muirgheal in Irish and Muireall in Scottish Gaelic, which derives from the words muir (sea) and gheal (bright), and hence literally translates to the bright sea. One of the earliest recorded bearers of the name was a poetess at Wilton Abbey in the 1000s AD. Second, Merrill surname it is a locational or habitational name for a person who was from any of the various places in English so named, deriving from the Old English words myrige (pleasant) and hyll (hill), and hence literally translated to “the pleasant hill” or “Merryhill. This theory is supported by the listing of Adam de Merihel of Suffolk was recorded in the Hundred Rolls of 1273 AD. Third, it may have been a Breton name that made its way into England from France during the Norman Conquest of 1066 AD. Brittany is an area of northwest France near the English Channel, whose people descend from Gauls and Vikings. Fourth, it may have been an Irish surname that was brought in by the Viking, but little detail is known of this, and the assertion lacks evidence. Common spelling variants or names with similar etymologies include Meril, Merril, Merill, Muriel, Meriel, Merrell, Merrall, Miriel, Meriall, Meryell, Murrell, Mirralls, Murrill and Murrells. The last name Merrill ranks 1,007th in popularity in terms in the United Status as of the 2000 Census. The name ranks particularly high in the following four states: Maine, New Hampshire, Utah, and Idaho. The surname is considerably less common in England, where it ranks 7,095th in terms of frequency. It ranks highest in the following three counties: Huntingdonshire, Rutland, and Cheshire. The name is common throughout the English speaking world: Scotland (11,040th), Wales (4,622nd), Ireland (31,207th), Canada (4,264th ), New Zealand (13,872nd), Australia (13,812nd), and South Africa (27,867th). The earliest known bearer of this surname was Ougrim filius Miriel who was listed in the Pipe Rolls of Lincoln in 1188 AD. A Richard Muriel was recorded in the same county only a few years later in 1195 AD. Johannes filius Miriald was documented in the Curia Regis Rolls of Yorkshire in 1208 AD. Another early bearer was Richard Miriel of Suffolk who was documented in the Rolls of Ely Abbey in 1221 AD. The Hundred Rolls of 1273 AD, a census of Wales and England, known in Latin as Rotuli Hundredorum lists five bearers of this surname: Matilda Miriel in county Cambridgeshire, Henry filius Mirield in county Lincolnshire, Robert filius Muriel in co Huntingdonshire, Thomas filius Muriel in county Salop, and Richard Miriel in county Norfolk. A one Simon Mirield was documented in the Danelaw Rolls of 1323 AD in county Norfolk, England. An early marriage involving this last name was Jeames Meriall to Margaret Shingleton at St. Antholin London in 1550 AD. A one Nicholas Meriall was buried at St. Peter, Cornhill in 1593. John Merrill was born in Wherstead, Suffolk, England around 1400 AD. He married Katherine John and had a son with her named Thomas. His son John was born in the same town in 1444 AD. He married a woman named Margaret and they had a son named John. This John Merrill was born in 1470 in the same town and he married Anne Belchum with whom he had the following issue: Edward Jr., Robert, John, John, Juliam, George Merrylls, Elyn, Julian/Julyan, Ann Agnes (Spencer), and Eleanor. His son John was born in Of, Suffolk in 1500. He married Katherine John and had the following issue with her: William, Joan, John, Michael, Margaret, Mary, Alice, Katherine, Agnes, Thomas, and John. His son John Merrill or Merroll was born in Whetstead Essex in 1545. He married Prudence Bird and had four sons with her: Nathaniel Sr., Thomas, John, and Michael. His son Nathaniel St. was born in Belstead, England in 1570 and he married Mary Blacksoll, with whom he had the following issue: Mary, Frances, Martha, Matthew, John, Nathaniel, Michael, and Thomas. His son Nathaniel Merrrill Jr. was born in Wherstead, Suffolk sometime before 1601 and ended up coming to Massachusetts, America (United States). He married Susanna Jordan and had issue with her: Nathaniel III, John, Abraham, Susannah, Daniel Sr., Abel, and Thomas. His son Nathaniel III was born in Lawford, England in 1634 and came to the United States, where he married Joanna Kinney in Newbury, MA in 1661. They had five children together: John Sr., Nathaniel, Peter, Joanna, and Hannah (Clough). His son John Merrill Sr. was born in Newbury, Essex, MA in 1663. He married Lucy Webster and had the following issue with her: Nathaniel, Abel, Lucy, Hannah Hutchins, Abigail Eastman, John Jr., Stephen, Enoch, and Nathan. His son John Jr. was born in 1696 in the same town and he married Lydia Haynes, with whom he had three children: Thomas, Nathaniel, and Hannah (O’Dell). His son Nathaniel was born in Rumford, New Hampshire in 1738. He married Ann Walker and had a son with her named Samuel. Samuel was born in 1780 in Maine and he married Dorcas Holy Eastman. They had a son named Lewis Lovejoy Merrill born in 1805. Lewis married Emeline Harris Cobleigh and they had a son named Samuel Walker Merrill. Samuel was born in Littleton, NH in 1838. He married Maria Villa in 1883 in Los Angeles, California. They had a son named Lewis William who was born in 1894 in Los Angeles. He married Mart Claire Grajeda and they had a daughter named Annabella. She was born in the 1920s and she married a member of the Reynolds family. The book Genealogical Guide to the Early Settlers, mentions one person bearing this surname: Thomas Merrells of Hartford, CT who had a son named Thomas baptized in 1646. The author notes his name was perhaps Merrill. Other early settlers in colonial America include John Merrill (Boston 1630), Nathaniel Merrill (Ipswich 1633), and Peirce Merrill (Virginia 1655). One of the earliest bearers of this surname in Canada was Anthony Merrill who came in 1830. In Australia, John Merrill, a convict from Huntingdon, England came to New South Wales, a penal colony discovered by Captain James Cook in 1770, aboard the Ann in 1809. Matthew’s American Armoury and Blue Book lists one blazon for this name: Argent, a bar azure between three peacocks’ heads erased proper. It belonged to Frederick James J. Merrill who was born in New York City in 1861 In 1888, he married Winifred, daughter of Emmet Edgerton, and had four issue with him: Hamilton (1890), Edgerton (1901), Louise Edgerton, and Winifred. He was a Fewllow in the Geology Department of Columbia University and State Geologist of New York. He was the son of Major Hamilton W. Merill and Louisa Kauffman. He descended from Nathaniel Merrill of Newburry, Massachusetts who arrived in American in 1635. 1) Arg a fess az bet 3 peacocks’ heads erased ppr Crest: a peacock’s head erased ppr. Seal affixed to a deed dated 1726. Vermont Amer. Heral., 1886, pp. 129, 173. 2) Arg a fess [az] bet 3 peacocks’ heads erased 1 and 2 [ppr] Crest: a head of the field. Notepaper Mrs. Mae Merrill Buckley, Dorchester, Mass., desc. of Thomas Merrill Bookplate Sherborn M. Merrill. 3) Arg a fess az or [sa?] bet 3 birds’ heads erased 1 and 2. George D. Merrill’s bookplate; also Albert Rowe Merrill. 4) Az 3 cresc arg Crest: a dove rising holding an olive branch. Motto: Servata fides cinere. Bookplate Lucie Elizabeth and William Waldo Merrill. 5) Or a pale engr gu voided of the field bet 2 fleurs-de-lis az Crest: a peacock’s head erased ppr. Motto: Vincit qui patitur. 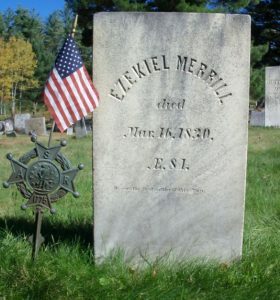 On tablet in the library at Yarmouth, Maine, erected by Joseph E. Merrill in memory of Ezekiel Merrill and his wife. Also on notepaper of Joshua Merrill, Longwood, Mass. Bookplate [Miss Mary E.] Merrill of Bangor, signed D[orothy] S[turgis] H[arding] of Boston. We have identified two Merrill family mottoes: 1) Servata fides cineri, meaning “Faithful to the memory of my ancestors” and 2) Vincit qui patitur, meaning “He who endures conquers”. We have 8 coats of arms for the Merrill surname depicted here. These 8 blazons are from Bernard Burke’s book The General Armory of England, Ireland, and Scotland, which was published in 1848. The bottom of this page contains the blazons, and in many instances contains some historical, geographical, and genealogical about where coat of arms was found and who bore it. There are hundreds of notable people with the Merrill surname. This page will mention a handful. 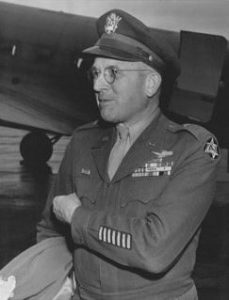 Famous people with this last name include: 1) Aaron Stanton Merrill (1890-1961) who was an American rear Admiral from Mississippi who served in World War II and led the forces during the Solomon Islands campaign, 2) Frank Dow Merrill (1903-1955) who was a United States Army general from Massachusetts who was known for his command of the 5307th Composite Unit, known as Merrill’s Maurauders, who fought in the Burma Campaign in World War II, 3) Gary Fred Merrill (1915-1990) who was an film and TV character actor from Hartford, Connecticut, 4) James Ingram Merrill (1926-1995) who was an American Poet from New York City who won a Pulitzer Prize for the Divine Comedies, 5) Lewis Merrill (1834-1896) who was an officer in the United States from Pennsylvania who was known for fighting guerrillas during the American Civil Ware and for fighting the Ku Klux Klan after, 6) Samuel Ingham Merrill (1856-1932) who was a California businessman and philanthropist known for his Christian benevolent work and his founding of the YMCA in Oakland and Los Angeles, 7) Janice Melbourne Merrill (1956) who was a female middle distance runner from New London, Connecticut, and 8) Paul Willard Merill (1887-1961) who was an American astronomer who was the first to define S-type stars and whose specialty was spectroscopy. The two main devices (symbols) in the Merrill blazon are the fleur-de-lis and pale. The two main tinctures (colors) are or and gules.